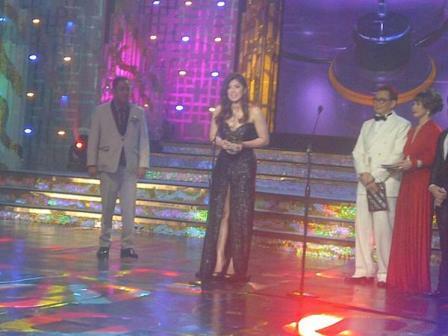 Angel Locsin's Winning Moment as Best Actress in the 2012 PMPC Star Awards for Movies! Today's hottest young star Ms. Angel Locsin grabbed the Best Actress title in the recently concluded 2012 PMPC Star Awards for Movies. Her portrayal in the 2011 hit heavy drama-romance movie "In the Name of Love" brought her the prestige award! In the movie, Angel portrays the character of Cedes, a former Japayuki with a dark past engaged to the son of a politician (Jake Cuenca). She fell in love to his dance instructor (Aga Muhlach). The said romance-drama film was under the direction of Olivia M. Lamasan and produced by Star Cinema which hit the theaters here and abroad last May 2011. 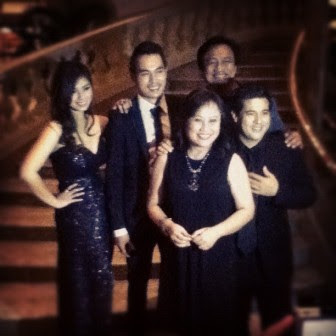 The said film won big in the recently concluded PMPC Star Awards for movies including the Best Actress trophy for Ms. Angel Locsin. She defeated in the said category the other veteran stars like Eugene Domingo and Ai Ai Delas Alas and other young stars like Cristine Reyes and Anne Curtis!